Our team have diverse backgrounds covering investment banking, private equity, corporate banking and venture capital. Our team have diverse backgrounds covering investment banking, private equity, corporate banking and venture capital. We have a strong reputation for providing high quality strategic and financial advice and we burn the midnight oil to deliver the optimum outcome for our clients. Dónal has particular expertise in advising growth-focused lifesciences companies on cross-border M&A. Sample lifesciences companies that Dónal has advised in recent years include Longboat Clinical Ltd. (patient engagement solutions), Embo Medical Ltd. (embolisation devices), Oxford Biosystems Ltd. (laboratory and diagnostics tools), Gencell Biosystems Ltd. (next generation sequencing), Aalto Bio Reagents Ltd. (biological reagents), Cappella Peel Away Inc. (medical devices), Stokes Bio Ltd. (genotyping) and Firecrest Clinical Ltd. (clinical trials solutions). Dónal is an honours graduate of Shannon College of Hotel Management, the National University of Ireland, Galway and University College Dublin’s Smurfit Graduate School of Business. David specialises in advising high growth technology companies on M&A and equity fundraising. He has significant experience in corporate finance advisory and private equity having previously held senior roles with the investment banking arm of Bank of Ireland and with Lioncourt Capital, a mid-market private equity firm. David has advised on numerous M&A and equity fundraising transactions in the technology sector for a range of companies including Acquirer Systems Ltd., FeedHenry Ltd., Bizimply Ltd., VideoElephant Ltd. and Wavebreak Media Ltd. He has excellent knowledge of the overseas buyer and investor community for the technology sector and has advised numerous Irish companies on raising development capital or recapitalisation funding. David is an honours graduate of University College Dublin and an Associate of the Institute of Taxation in Ireland. Mark is focused on advising mid-market companies on M&A and debt and equity fundraising. Prior to joining Pegasus Capital, Mark held various senior roles in Bank of Ireland Corporate Banking including Head of Origination where he specialised in private equity backed LBO’s, acquisition funding and MBO’s. Mark has in-depth knowledge of private equity as a source of funding for companies considering an exit or recapitalisation or as an avenue for growth. Mark has an honours degree in International Agribusiness from the Royal Agricultural University and is a Fellow of the Institute of Chartered Accounts in Ireland. 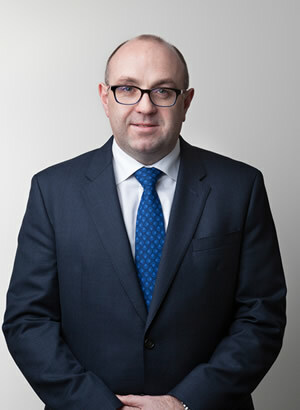 Andrew Doyle is former Managing Partner of Maples in Ireland, a leading international law firm. Andrew joined Maples as Managing Partner of the Irish Office in 2007. He has, over the last two decades, advised on numerous high profile mergers and acquisitions, private equity and other corporate law transactions. Throughout his legal career Andrew was consistently ranked by respected international legal journals as one of Ireland's leading corporate lawyers. He was previously a Senior Partner with large Irish corporate law firms, Matheson and A&L Goodbody.